Home / Ricetta / Creamed beetroot with feta cheese in orange flavoured and chill flavoured extra virgin olive oil marinade. 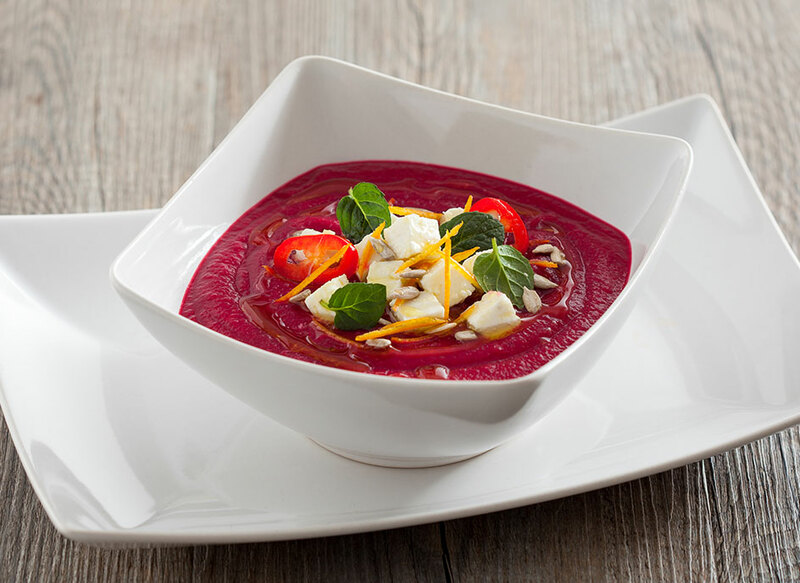 Creamed beetroot with feta cheese in orange flavoured and chill flavoured extra virgin olive oil marinade. A dish that will brighten up a winter day and make you smile when you taste it. 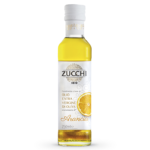 A delight to the eyes and the taste-buds, with the special touch of Zucchi flavoured oils. Prepare the vegetables. Peel and dice the potatoes and the beetroot. Crush and peel the garlic, remove the core and chop coarsely. Place the garlic in a saucepan with two spoonfuls of extra virgin olive oil and fry gently. Add the vegetables and salt, then cook in the oil over a high flame for a couple of minutes. Cover the vegetables with about half a litre of water and bring to the boil. Put the lid on, turn down the heat and leave to cook for about 20 minutes. The vegetables are cooked when they are soft when pricked with a fork. In the meantime, prepare the feta cheese so that it absorbs the flavours while the vegetables are cooking. Dice the cheese finely and place it in a bowl. 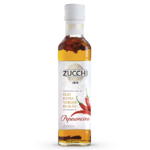 Season with 4 spoonful of orange-flavoured extra virgin olive oil and one spoonful of chilli-flavoured extra virgin olive oil. Then add a few chopped leaves of mint, cover with kitchen film and leave to marinade in the fridge. When the vegetables are cooked, take the pan off the heat and blend with a stab mixer to make a smooth, even cream. Add salt as necessary and leave to cool for a few minutes. Pour the creamed vegetables into the individual plates and arrange the diced feta cheese on top. Garnish with a handful of sunflower seeds, a few mint leaves and orange peel cut into julienne sticks. 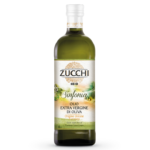 Complete with a swirl of Sinfonia oil and serve.